Upholstered furniture retailer Sofa.com is poised to open a new pop-up showroom in Nottingham as it continues to grow its UK store footprint. The award winning firm has set up the pop-up showroom at 16-18 The Exchange adding to its portfolio across the country with showrooms in London, Scotland, Yorkshire and Bath, selling lounge and bedroom furniture and accessories. From product design, to a dynamic website and outstanding showrooms, to in-house furniture production and white-glove delivery, the company has more than 10 years’ worth of experience in providing an exceptional, fully integrated service for their customers. The idea of e-tailers opening stores to allow customers to see the products and test the fabrics is n to a new one but its a strategy that sofa.com finds successful for its handcrafted designs. 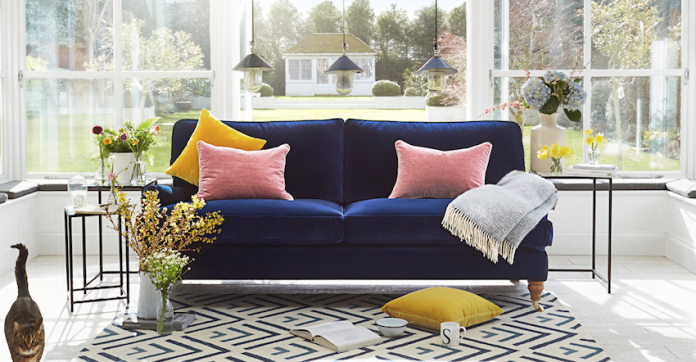 Sofa.com now has 11 showrooms across the UK and one in Amsterdam. The firm was set up in 2006 and in 2015 private equity firm CPBE acquired a major stake in the business.